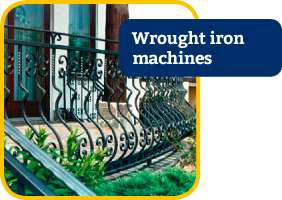 Machine systems for classical forging work and industrial use. 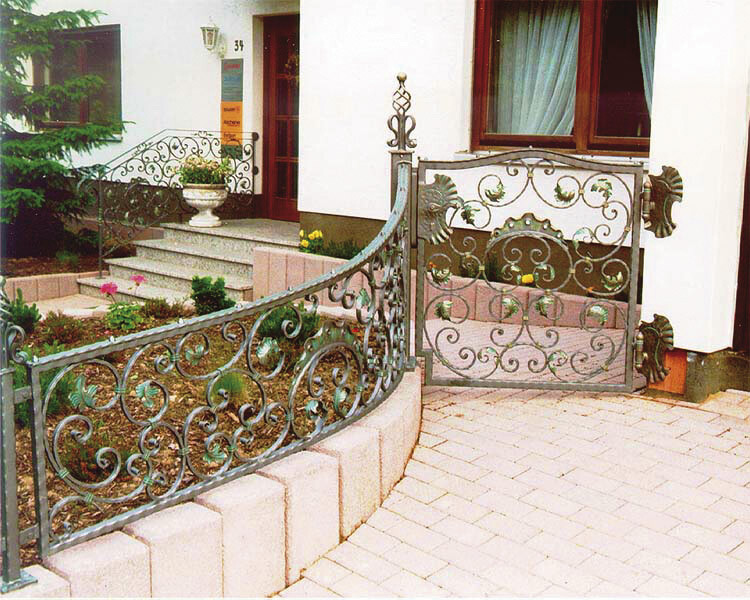 Twisting of bars, basket and scroll production. Heating and forging of scroll ends and spear heads. 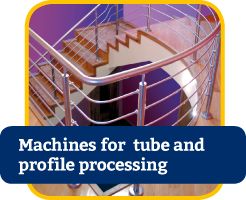 Embossing, profiling, bending of profiles or tubes and straightening work. 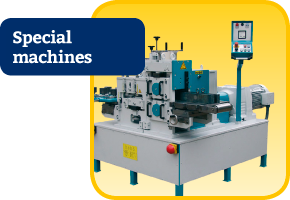 Machine systems for the modern metalworking – as well in the industrial field. 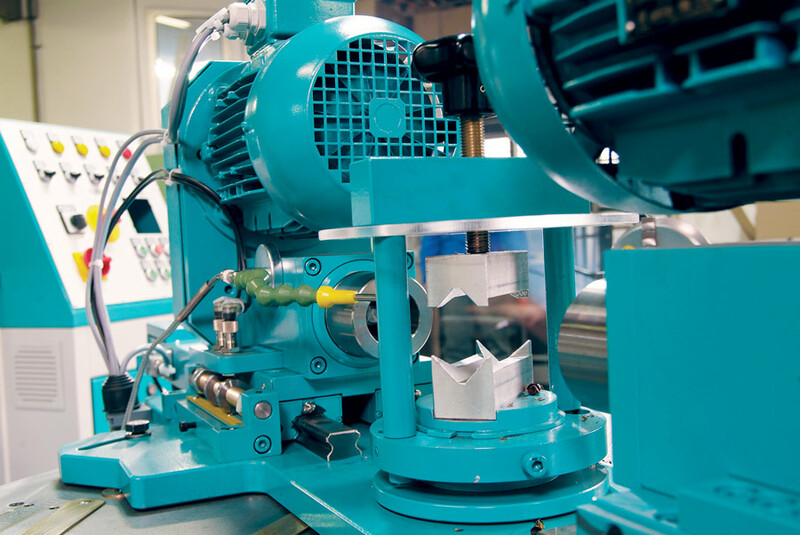 Drilling, tap forming, punching, bending and grinding of tubes, bars and profiles and straightening work. tities or for special use (e. g. painting or ornamental production).